Turrialba is an attractive little town, 53 kilometers east of San Jose in the province of Cartago, with stunning views of Costa Rica’s rural countryside and lush Central Valley. 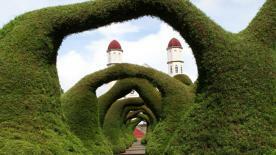 Turrialba mostly lives of agriculture and is home to gorgeous coffee and macadamia plantations, and sugar cane fields. This picturesque little town of charming streets and beautiful sceneries has a direct access to the Turrialba Volcano National Park that is home to the active Turrialba Volcano; its last big eruption occurred in 1866, and it is quite safe to climb with the help of the park’s facilities. Once on the summit you will be rewarded by breath taking and spectacular views over the valley and the Irazu, Barva and Poas volcanoes, and you may just be able to catch a glimpse of the two oceans if you are lucky. Turrialba is also famous for being one of Costa Rica’s hot spot and base camp for white water rafting. Those who seek thrilling and exciting vacations will not be disappointing; the Rios Pacuare and Reventazon are close to town and guarantee a good rush of adrenaline! These rivers have a worldwide reputation and they are even used for training by top kayakers and white water rafters. 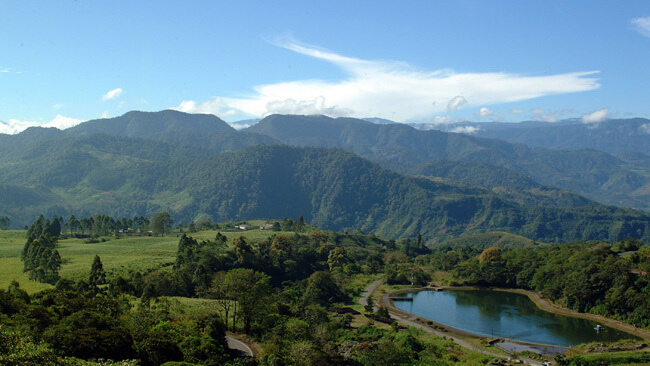 Many people go to Turrialba to visit the Guayabo National Monument. This is a very special site to explore, not only because of the ruins but also because it is a place of great natural beauty. It is Costa Rica’s one and only pre-Colombian site that has been excavated and that is opened to the public. While it is not comparable to other Central and South American ruins, it still provides a good insight of what life was like there from 1000 BC to 1400 AD. The ruins mostly consist of paved roads, stone bridges, houses and temple foundations and aqueducts, some petroglyphs and gravesites. When in the area, see also the Center for Agronomy Research and Development, a world of wonder for naturalists with its 2000 acres of the world’s most advance tropical agriculture research. 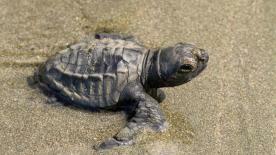 Turrialba will offer you with the true essence of Costa Rica. 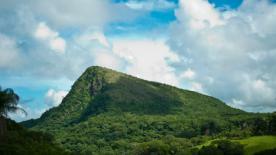 The vibrant green pastures and magnificent scenery will transport you to a world of simple beauty and serenity. It is the only place of the country where a cheese bearing its name, the Turrialba cheese, is produced thus huge cattle ranches surround it. Turrialba also holds an extra surprise for its visitors; it manufactures the Rawlings baseballs used in the Major League games.